Amethyst Crystal, Double Terminated, Polished, Points, Brazil. 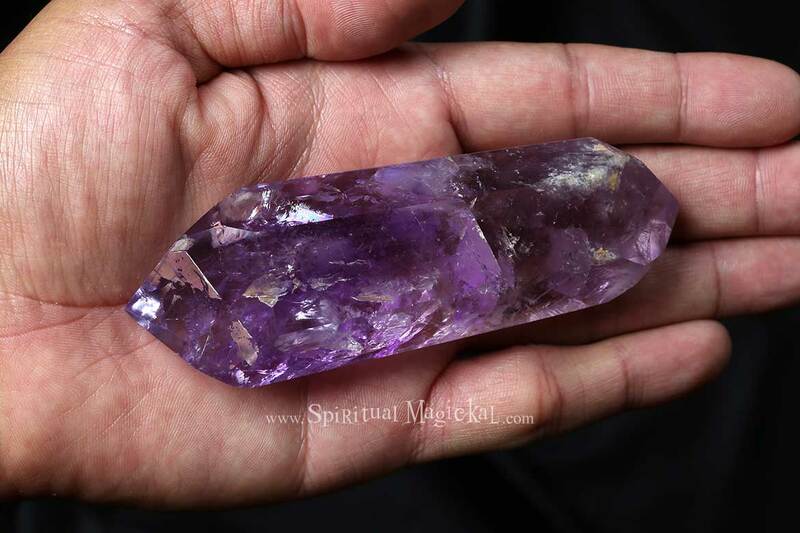 This particular crystal measures 4-1/2 inches long (11.4cm) and weighs 4.7 ounces (135 grams). 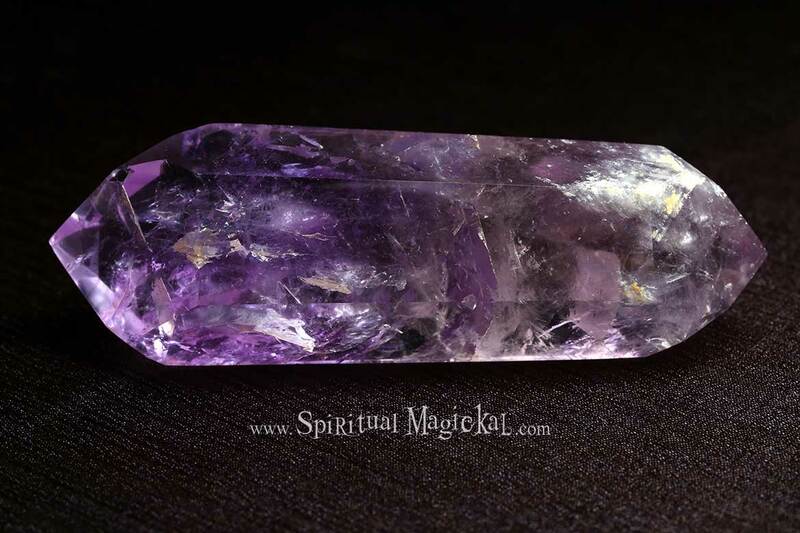 Amethyst has one of the strongest powers to rid your home of negative influences. Place an amethyst cluster in the south corner of any room in your home and start the clean and clear life energy flowing in your home. 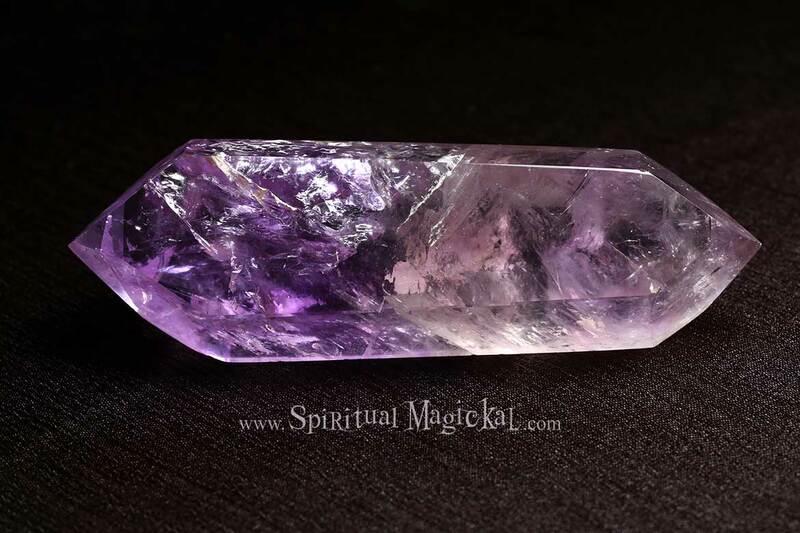 Amethyst crystals and gemstones can also be used for healing, meditation, addictions, pain (physical, emotional, and psychological), protection, purification, opening the 3rd Eye chakra, calmness, sobriety, decision making, recurrent nightmares, geopathic stress, hyperactivity, anger, rage, fear, anxiety, grief, neural transmission, dream work, scrying, divination, intuition, visualization, psychic attack, dispelling illusions, alcoholism, hormone production, endocrine system, metabolism, cleansing and eliminating organs, immune system, blood, headaches and migraines, bruises, injuries, swellings, burns, hearing disorders, lungs, respiratory tract, skin complaints, cellular disorders, digestive tract, regulating flora, removing parasites, insomnia, psychiatric conditions other than paranoia or schizophrenia.